The state of onboarding is that it often does not work. 30% of new hires quit within the first 6 months. Around 16% of them stated that they had left the job between the first week and the third month. A Bersin study found that 22% of turnover occurs with the first 45 days. A survey by Bamboo found 16.5% of new hires quit in the first week. While many of these facts and figures may not line up exactly, one thing seems clear: the current state of onboarding is not helpful to businesses or their new employees. Many companies are turning to pre-boarding to help support new employees before they even start the new job. 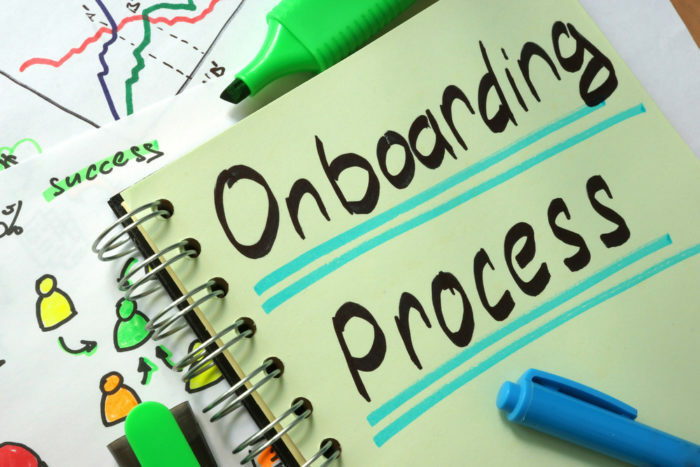 Preboarding is the process of using the 4 C’s of onboarding (Connection, Context, Compliance, and Culture) to help integrate a new employee before they even begin the job. The company can help them connect with other employees, understand the job role and expectations, complete compliance paperwork, and learn about the company culture. Pre-boarding may seem kind of simplistic or obvious, but it can be extremely helpful to new employees. Sometimes the simple things and the small details can be the most important. Makes the first day easier – Giving new employees information about the company, the people, common questions/answers, and what they can expect on their first day helps them start the new job in a more confident state. Boring stuff is over already – When new employees get forms to take home with them as soon as they sign the contract, they can have a lot of paperwork done before the first day. That way, the first day can be used for more exciting and useful tasks like meeting new coworkers, learning more about the job, and exploring the new workplace. Shorter ramp up period– New employees who know what their job is, what they are expected to do, and have more time on important tasks instead of administrative tasks will reach full productivity faster. Incorporating pre-boarding can decrease ramp up time by 30%. Supports the organization – According to research by Brandon Hall Group, strong programs that include elements of pre-boarding can improve retention by 82% and productivity by over 70%. Employers can institute a few initiatives that can go a long way in integrating new employees into the company at a faster pace. Personalization – Whenever possible, employers need to personalize communication with new employees. When they get offer letters, orientation packets, or any other documents, employers should try to avoid standard form letters and opt to communicate on a more personalized level. Reach out – Employers should encourage employees to reach out to new employees by sending them contact information, handwritten notes of congratulations, and business cards. Sign electronically – When new employees need to read and sign documents they can do so from home with electronic signature services. Have a workspace – Before a new employee gets to the office, their workspace should be set up so that they can get to work as soon as possible. They also need to have all access passwords, accounts, and login information ready. It would also be nice to include notes or other fun items to welcome the new employee to the company. Spread the news – Employers can help other employees get to know a new employee even before they arrive by posting a picture and fact sheet about the new employee for everyone to see. Find a mentor – Many organizations pair a new employee with a mentor that can help them with more complicated job tasks like how to solve technical problems but also with other tasks that are just as important, like where the best place to get lunch is or which copier works the best. Prepare the new employee – Before the new employee gets to the office, make sure they have an itinerary of their first-day, how to get to the office, where to park, and details about first day tasks. Encourage interaction through technology – Give new employees access to email, social networking, or other communication tools so they can start to interact with other employees. They can also get access to the company’s learning management system to interact with others and see what others are learning. With some employees barely making it past their first day at a new job, it is time to start evaluating what is making the current onboarding process inefficient. Pre-boarding is a great start to making sure the first day is the perfect start to a long and productive career at a company. Ilie Ghiciuc is Teamfluent CEO. I’ve been an entrepreneur for the past 10+ years building great software companies together with fantastic teams. I believe that a culture of learning can make organizations thrive and become more competitive, that’s why I founded Teamfluent.